I used to review an Android TV box from Xiaomi and quite loved it. 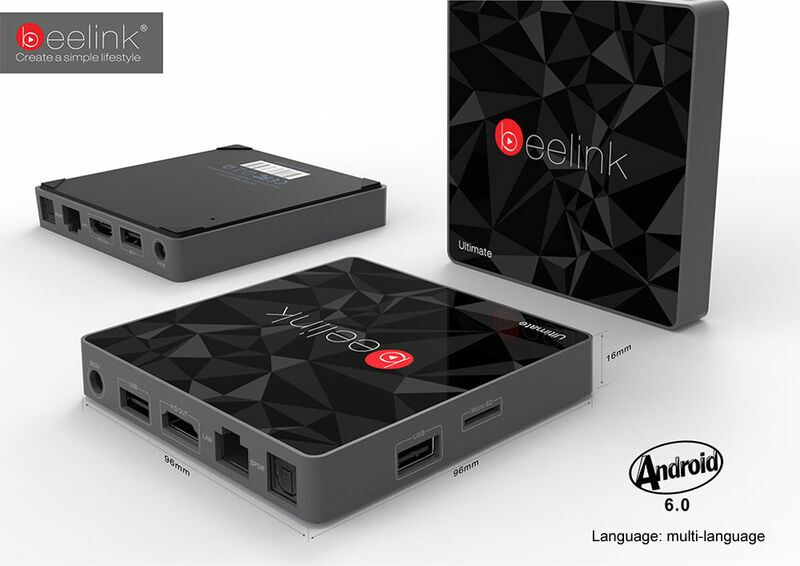 However, if you need a more powerful TV box for the same price, now you have another option, the Beelink GT1 Ultimate. The product is on sale for just over $70 on GearBest. In terms of specs, the TV box is powered by the Amlogic S912 2.0GHz octa-core processor, T820MP3 GPU, 3GB of RAM, and 32GB of flash memory. The internal memory can be expanded by plugging in a microSD card on the side. On the back of the box, we have a power port, an HDMI connector, LAN, SPDIF, and a USB2.0 port. Of course, you are also provided with an infrared remote control. The TV box supports 4K 60fps hardware decoding, H.265 and VP9-10 Profile-2 decoding, and HDR10. You can cast content wirelessly to your TV via DLNA, Airplay or Miracast. You will also benefit from some other features like Bluetooth 4.0 or 802.11ac dual-band WiFi. The only disadvantage is that it runs on Android 6.0, an old Android version released a few years ago.